Waiting in the stale heat that fills the southbound MBTA Orange Line stop at State Street this morning, I heard the sweetest sound come over the loudspeaker. For all the rush-hour commuters crowded on the platform, there was the soothing voice of Frank Oglesby issuing a helpful reminder to all of us: Remove your backpack when you board the train, and hold it at your side. Thank you Frank. Thank you so much. 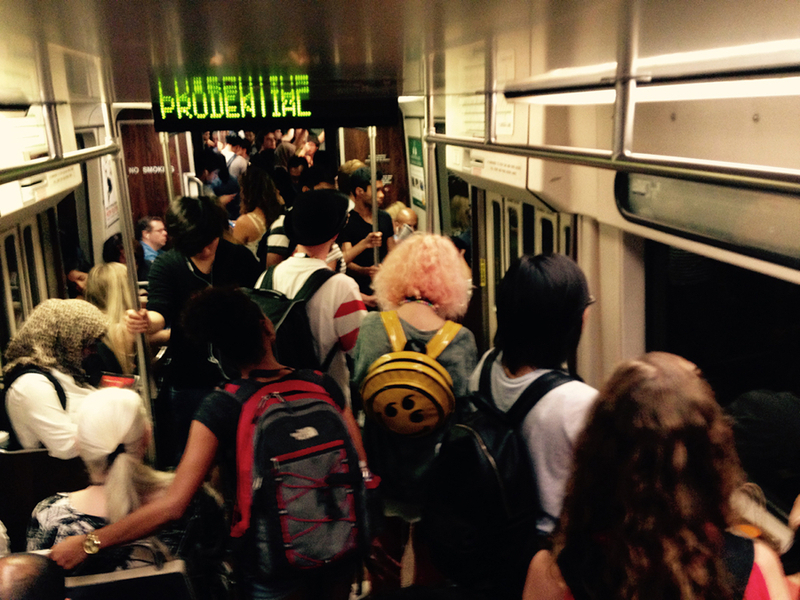 Of the many issues that plague the T, not all of them are caused by years of neglect and mismanagement. No, some of them are our own damn fault. And one of those problems is commuters—looking at you, undergrads—who straight up refuse to take their giant backpacks off when they board the train, sacrificing space that could be occupied by, well, me. The announcements—which I’m told will be played once every hour on every subway line for the next week and a half—are timed to coincide with the end of summer, and the return of the student horde. This follows a similar MBTA campaign last year that took aim at big backpacks and “manspreaders” alike. We just launched a number of videos produced by a class at @EmersonCollege The videos are aimed at encouraging courteous behavior among riders. Big thank you to those students for helping us promote good etiquette on public transit.